[Bari, Italy, September 25, 2018] TIM and Fastweb put the first 5G base station (complying with 3GPP standards) into commercial use, featuring Huawei’s end-to-end (E2E) 5G equipment. The three partners also jointly demonstrated ten 5G use cases in the cooperation. 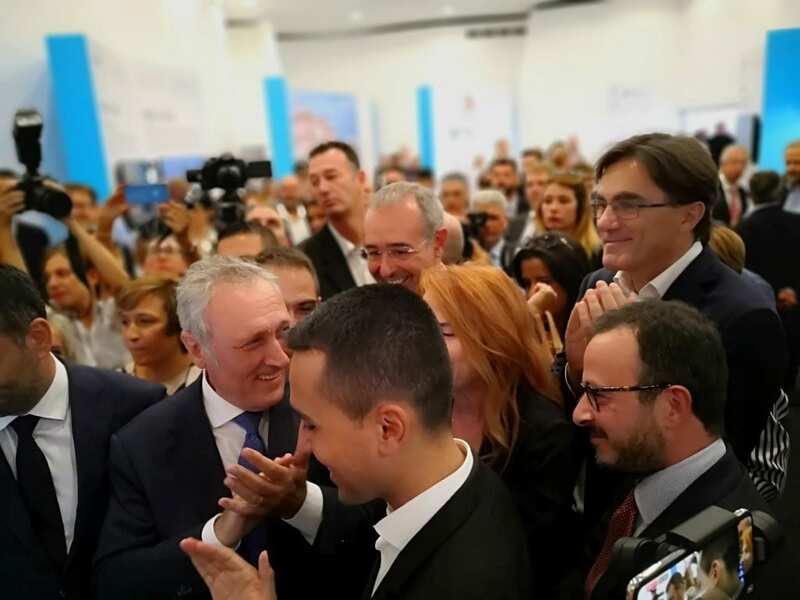 Luigi Di Maio, Deputy Prime Minister of Italy and Minister of Economic Development, Labor and Social Policies, attended the inauguration ceremony to press the startup button for the deployment of the first 5G base station. TIM and Fastweb intend to provide the cities of Bari and Matera with 5G commercial coverage (75% of the population) by the end of 2018. Luigi Di Maio, Deputy Prime Minister of Italy and Minister of Economic Development, Labor and Social Policies, pressed the startup button for the first 5G base station deployment.